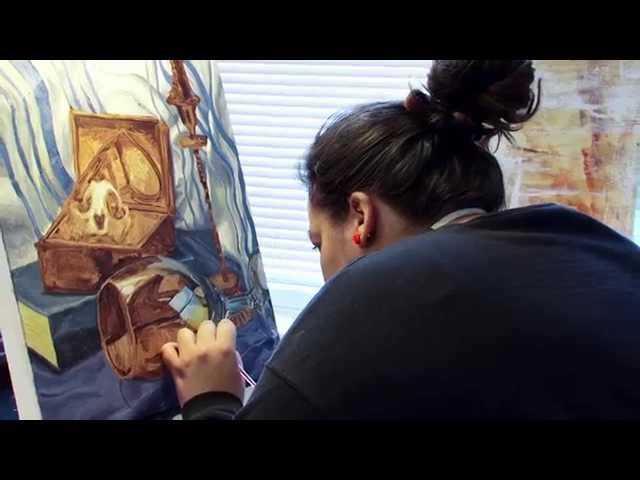 Art – Visual Arts, B.A., B.S. More than one path is open to those who wish to major in Art and pursue careers in museums, galleries, or arts organizations and/or pursue further study at the graduate level. Students choose between concentrations in Art History and in Visual Arts. The latter group takes a wide variety of visual arts courses, including ceramics, painting, printmaking, sculpture, graphic design, and book arts. Faculty members foster critical and creative thinking, leading to clear communication and problem solving. Students may pursue careers as visual artists or may consider a variety of occupations, including art therapy, arts administration, exhibition design, or art criticism. Students in the Special Topics: Art of the Painted Manuscript class, taught by Dr. Nancy Kelker in the Fall 2018 semester, explored Mesoamerican manuscripts and carved hieroglyphic texts created by the Maya, Mixtec, and Mexica peoples and compared them to the tradition of Islamic painted manuscripts in West Asia and India. These hieroglyphic and pictographic texts frequently recount dynastic histories, recording the births, accessions, marriages, and deaths in the ruling families of ancient Mexico. The class featured an experiential component in which students created their own family stories using traditional materials, such as amate bark paper, deer hide, and natural pigment paints, methods, and the idioms of the ancient Maya, Mixtec, or Islamic miniature painters. The realization that few students today have much awareness of World War I, the 1914-1918 conflict that changed the world, prompted faculty member Kyle Stoneman to create an exhibit called "Printmaker at War: The Art of Sir John Muirhead-Bone." Student Jane Kim worked with Stoneman, whose research deals with the social and artistic ramifications of the First World War. He says, “The show’s theme was the aesthetics of World War I propaganda and the role artists and writers played in creating that aesthetic.” Stoneman initially purchased the featured lithographs for teaching purposes, explaining, “I wanted students to have practical experience in curating museum quality works by major artists.” He hopes that viewers gained a better understanding of the leading role artists played during the war as well as the ways artists shaped the legacy of that war. 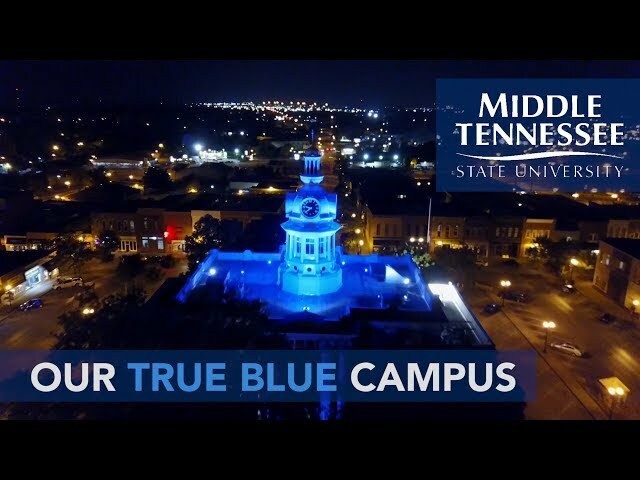 Working closely with faculty members is an example of hands-on learning at MTSU. Programs in the Department of Art and Design lead to the Bachelor of Science (B.S. ), the Bachelor of Fine Arts (B.F.A. ), or the Bachelor of Arts (B.A.) degrees. Two concentrations—Art History or Visual Arts—leading to either a Bachelor of Arts (B.A.) degree or Bachelor of Science (B.S.) degree are available under an Art major. A major in Art Education leads to the B.S. degree. The department offers a B.F.A. with a major in Art; students may choose between two concentrations: Studio or Graphic Design. Art, Visual Arts Concentration, B.A. The B.A. program in Art with a concentration in Visual Arts is designed for those who wish to pursue further study at the graduate level. Students should consult with their advisors each semester in order to plan their schedule of courses. Students must successfully complete 2010 and 2020 or any courses numbered above the 2000 level in a single foreign language.